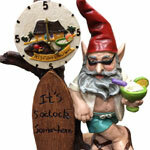 It’s time to take your backyard playground to the next level with GardenFun’s famous character gnomes. These fun and festive figures are perfect for popular culture buffs and to add to your holiday decor. 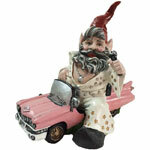 Add a Vegas showgirl or Elvis lookalike gnome to your collection or choose from our TV and movie star models. Our Shalom gnome will be a hit this Hanukkah and all year long. 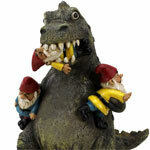 Our famous gnomes are sized for your garden or to enhance your home’s interior. Keep a watchful gnome in your doorway to welcome you home every evening. 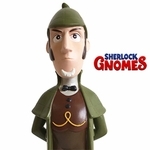 For the movie lover in your life, choose from our GnomeHeart, Marilyn Monroe, or Gnomeo and Juliet gnomes. 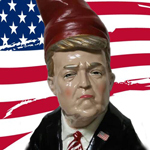 The GnomeHeart brave gnome is ideal for your Scottish family and friends and for the Mel Gibson superfan in your life. Each of our painted celebrity garden gnomes have a weather-resistant design so that you won’t have to worry during harsh weather. Their cast stone resin exterior will withstand the test of time to leave your yard looking its best. Keep the spirit of Christmas alive during every season with GardenFun’s Santa Clause and Mrs. Clause garden gnomes. These are ideal to sneak under the tree, or to place in your garden for a more traditional decorative touch. 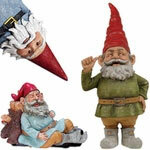 Another customer favorite is our Travelocity roaming gnomes. 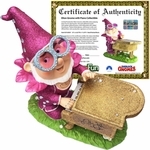 These giftable celebrity garden gnomes come in a range of sizes to complete your office desk or create a centerpiece for your garden. 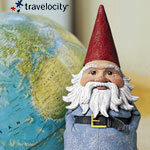 Try a talking Travelocity gnome to make your collection one-of-a-kind. Our talking gnomes are great for Christmas and Valentine’s Day festivities, while our other Travelocity gnome styles are designed for any occasion. Nothing says “I love you” like our Mexican dancer and Mariachi gnomes. These festive gnomes are a gnome-brainer for your Spanish-speaking familia. Our affordable Mexican-themed gnomes including El Gnombre feature intricate detailing that adds an artistic touch to these bold pieces.